During our work, we wanted to keep all our sponsors, friends, families and other interested parties updated on our progress. Therefore, we wrote a monthly newsletter, which contains the most important wetlab and drylab activities, as well as PR and sponsoring updates. Read it all (again) here! Hello. 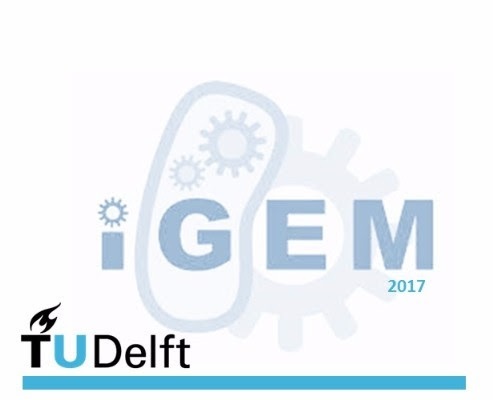 This is our very first newsletter of iGEM TUDelft 2017. In the newsletters you can read all about what we are and what we will be doing. You will find updates, insights, pictures, videos, and upcoming events. Our newsletters keep you engaged with your project. We would like to share our progress and keep you posted! Enjoy! If the email is not properly displayed: You can view as a Web Page and reply to this email to report your problem. Hello. 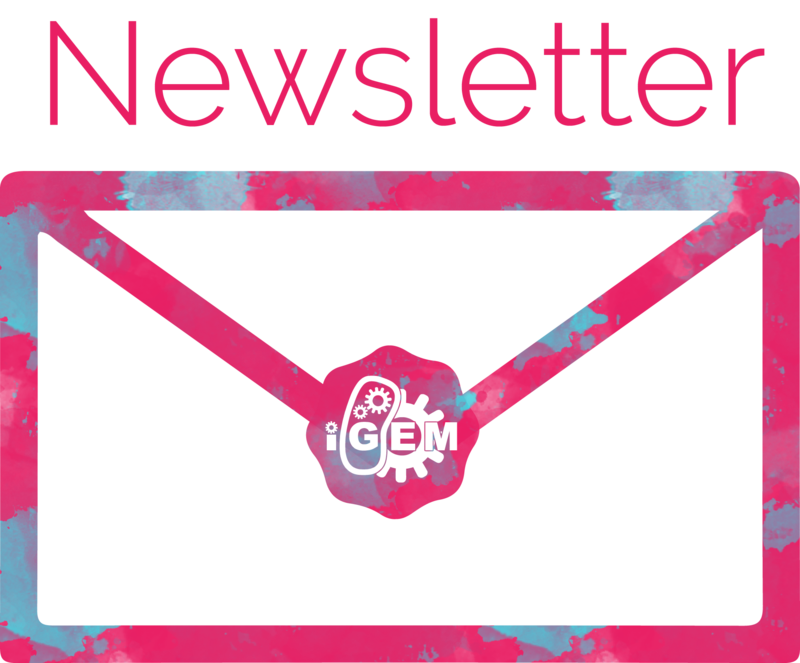 This is our very first newsletter of iGEM TUDelft 2017. In the newsletters you can read all about what we are and what we will be doing. You will find updates, insights, pictures, videos, and upcoming events. Our newsletters will keep you engaged with your project. We would like to share our progress and keep you posted! Enjoy! 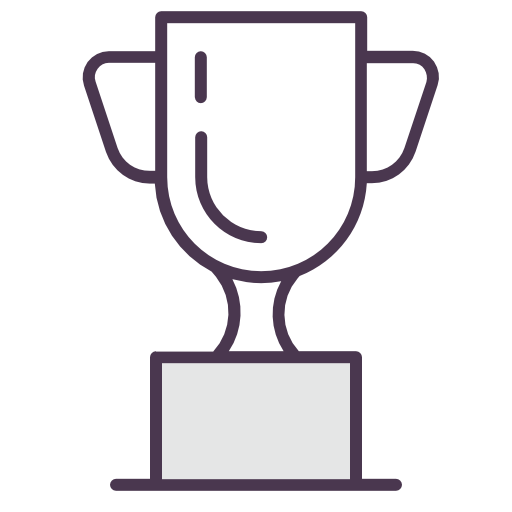 The international Genetically Engineered Machine (iGEM) competition is the largest worldwide synthetic biology competition for collegiate students. It aims to combine and create novel biological (genetic) parts which can be incorporated in an organism, thereby equipping it with new functions. Each year, multi-disciplinary teams from all over the world work for nine months to produce their own enhanced organism using synthetic biology. 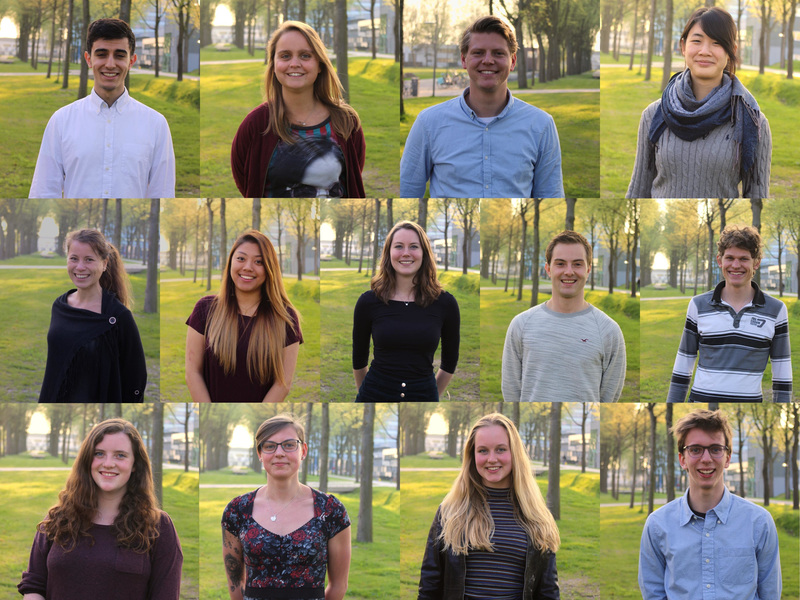 This year, our work will be presented to the scientific community at the Giant Jamboree in Boston in November 2017.
iGEM is a part of the large TU Delft DreamTeam family. DreamTeams are teams that pursue their goals in many different categories of science. An example is the NUON solar team, which annually participates in a car race driven by solar energy. These projects are very progressive and are well known to people all over the world. Challenges in treating cattle diseases are increasing: farmers are facing challenges that come with antibiotic-resistant bacteria. Antibiotics usage turns out to be inefficient as the effectivity of the antibiotics is not tested beforehand. Instead, the farmer generally administers several antibiotics in high doses and waits to see if the antibiotics actually improve the health of his livestock. Consequently, the antibiotic resistant bacteria survive the the antibiotic treatment while the other healthy non-pathogenic bacteria in the animals is eliminated. For this reason, our iGEM team aims to prevent the wide use of ineffective antibiotics. Our goal is to create a home kit detection tool for farmers that is affordable, user-friendly and reliable in the detection of antibiotic resistance in bacteria. This way, our tool will lead to an improvement of the current methods. In the future, farmers will hopefully be able to determine in advance whether the antibiotics will be effective. 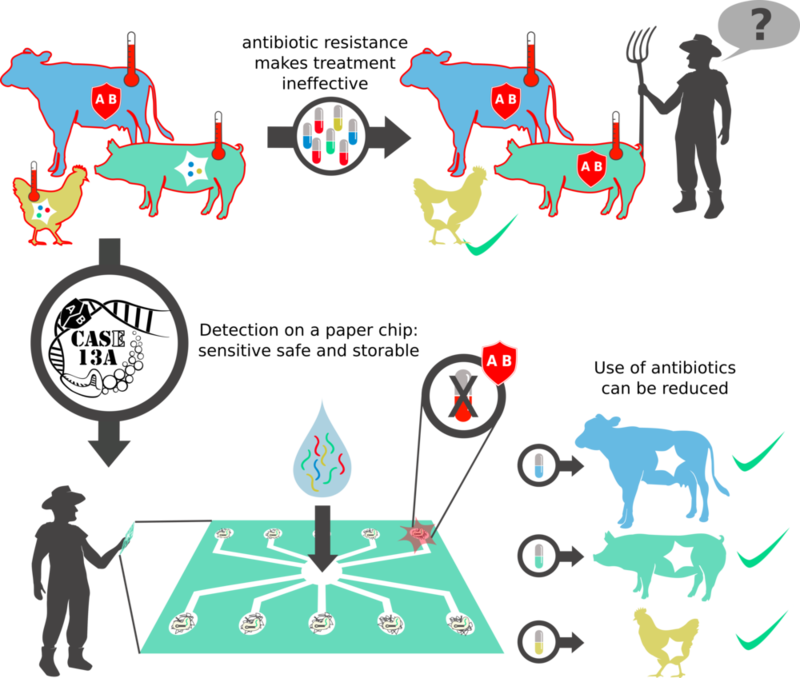 In future prospects, our tool might contribute to healthy cattle, and human health. Considering environmental safety, sustainability, health, security, economic benefit, accountability, meaningfulness, public opinion, efficiency and beneficence, the iGEM team takes into account the perspectives of several stakeholders during the development process. 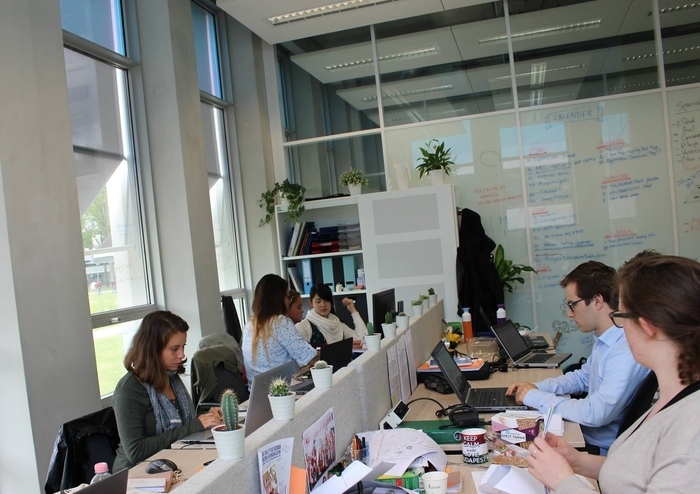 By interviewing and collaborating with policy makers from RIVM, veterinarians, experts in medical centres and knowledge institutes, and farmers, the iGEM team aims to develop a value sensitive design (VSD) which is implementable in the niche market. This way, e fundamental research is translated into a product with a purpose. Besides the integrated human practices, the iGEM team aims to show the general public the potential of synthetic biology. For this reason, you can find us on different events. Last month we were present at the Museumnacht in Leiden. Also, we presented our project at the Netherlands Technology Conference. Upcoming weeks, you can find us at International Festival of Technology and Bessensap. If you know any interesting contacts for integrated human practices or have outreach, contact Kim Barentsen, our Manager Public Relations and Integrated Human Practices by sending us an email or calling us on our phone number. 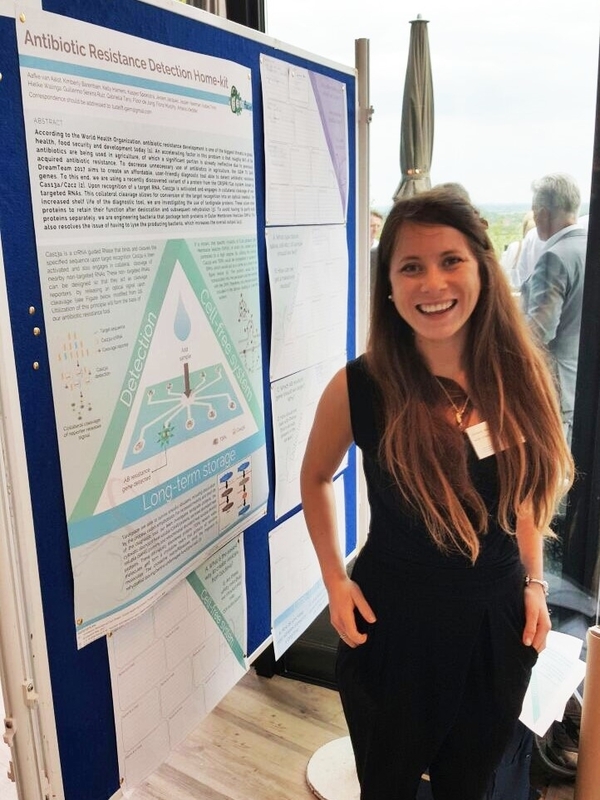 Here Kim, our PR manager, is presenting our poster at the Netherlands Technology Conference. 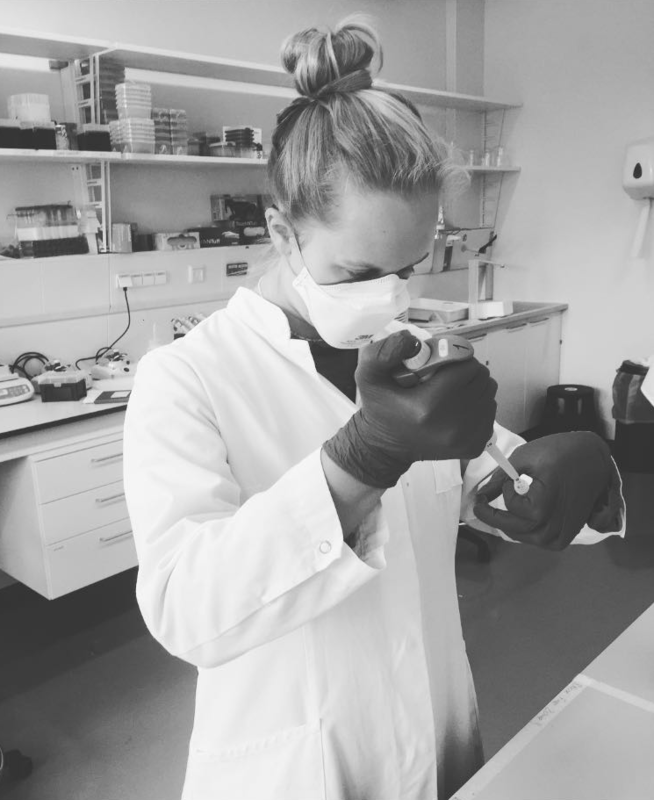 Our lab manager, Aafke, at work. Kelly telling about our ideas at TEDx Delft. We were having fun at the museum nacht in Leiden. You can find more photos here. 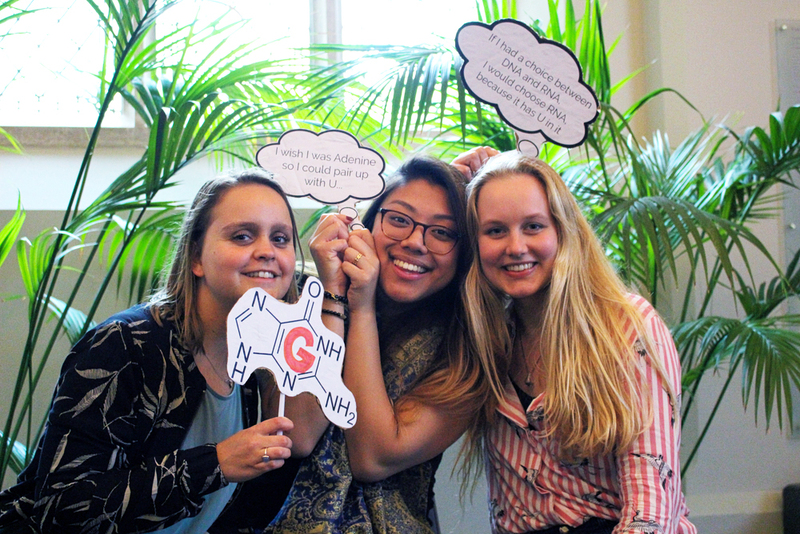 SnapGene will sponsor iGEM TU Delft again this year! SnapGene is the first molecular biology software that is easier to use than pen and paper. Now every DNA construct made in our lab can be documented in a rich electronic format… and thanks to the free SnapGene Viewer, the files can be shared with our colleagues around the world. The Department of Bionanoscience will host iGEM TU Delft again this year! The Department of Bionanoscience (BN) provides our DreamTeam with office space, laboratory, supplies and an experienced supervisory team. The young and international Department of Bionanoscience, part of the Faculty of Applied Sciences at Delft University of Technology and part of the Kavli Institute of Nanoscience Delft, is dedicated to world-leading research at the interface between nanophysics and biology. The Department of Bionanoscience focuses on the fundamental understanding of biological processes, from the level of single molecules to the full complexity of living cells. This research provides fascinating insight in the molecular mechanisms that lead to cellular function. Furthermore it enables the in vitro bottom-up construction of cellular machinery and it impacts applications ranging from biomolecular diagnostics to novel antibiotics and targeted nanomedicine. The department features a strongly multidisciplinary and international team of scientists, whose research areas include single-molecule biophysics, synthetic biology, as well as (quantitative) cell biology. In addition, BN faculty members teach master and bachelor courses in Applied Physics, and since 2012 and 2015, in the bachelor and master programs Nanobiology. These programs are well-represented in the iGEM TU Delft team of 2017, as nine of the team members are being educated in the Nanobiology programs. Courses taught include statistical physics, biophysics, nanotechnology, origin of life, optics and nanoscopy. The Nanobiology courses are provided in collaboration with the faculty of the Erasmus Medical Centre Rotterdam, where courses such as evolution, molecular cell biology and microscopy are taught. Yearly, about 100 new students start the bachelor Nanobiology program. All faculty members guide several master and bachelor projects in their labs. Furthermore, a large number of graduate students and postdocs receive their research training in the department. For more information, please visit the website of the Department of Bionanoscience. Hi, we hope that you are enjoying the summer holidays! In our case, we are still diligently working in our office and lab. That being said, here is a small peek at what we were up to in June. How do we include stakeholder’s values, become aware of societal needs and include safety in our design? Often scientists and engineers have other ideas about values and safety than society. This is why we collaborate with all our stakeholders to gain insights considering these aspects. Additionally, we strive towards close collaboration with experts in the field of antibiotic resistance and health to understand the real pains in the fight against this issue. Collaborations have been initiated with governmental agencies to meet the guidelines and regulations of the iGEM project. To determine what is user-friendly, we are working together with farmers, veterinarians and diagnostic centres. The input of these stakeholders is used to optimize and redesign our diagnostic tool. The wetlab is supported by a smaller, but just as enthusiastic drylab! The priority of the drylab is to answer any questions that arise in the wetlab by means of modelling and simulations. Here, our experiments are designed and subsequently optimized prior to their realisation. 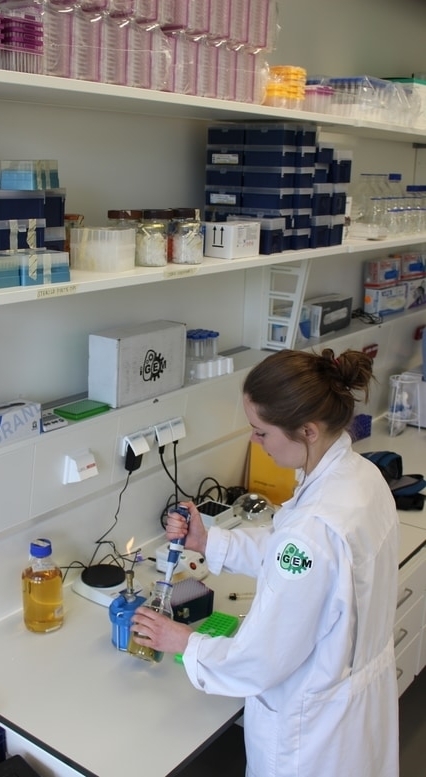 In order to improve understanding and collaboration between both parties, members of the drylab are being encouraged to contribute in the laboratory as well. The drylab has been working on establishing predictive models with regards to the Cas13a protein. For example, we are interested in the characterization of the properties of Cas13a. Unlike the properties of Cas9, these have not been fully determined yet for Cas13a. The project has been divided into 4 different modules; Cas13a, vesicles, tardigrade proteins and final design. The final design is focussing on the development of an user-friendly diagnostic tool. This module tries to develop a DNA-isolation method that can easily be used in the field. The other modules were occupied with the assembly and transformation of the plasmids. Furthermore, exciting results were obtained regarding a visible and straight-forward read-out that can be easily interpreted. This month, we are performing the characterization of the plasmids and we aim to purify our first proteins and let our bacteria start generating vesicles. 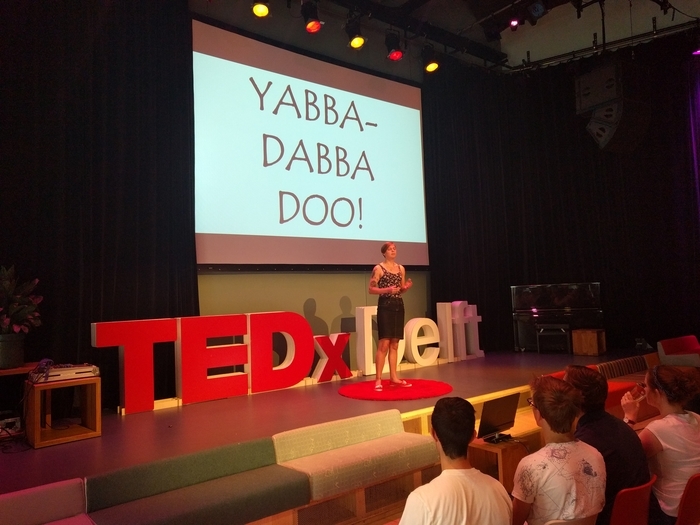 As mentioned in our previous newsletter, Kelly delivered a talk about “synthetic biology in our everyday life” for TedxDelft. For the people who missed the video on facebook, feel free to watch it here. 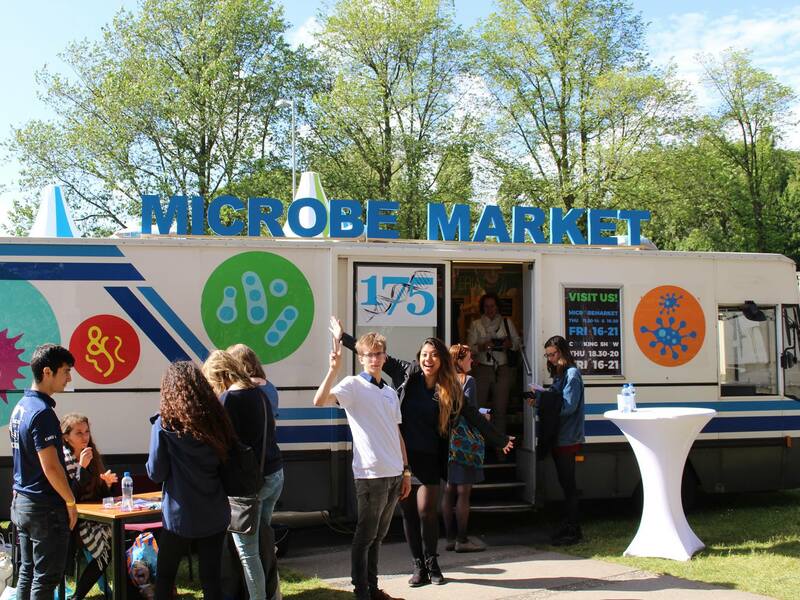 We helped out at the microbe market at the International Festival of Technology from the 7th until the 9th of June. Here visitors were informed about iGEM and our project. Furthermore, we visualized the blueprint of life by making colourful double helix keychains. In honour of TU Delft’s 175th anniversary, we attended the alumni event on the 9th of June. Our team member Jasper had the privilege to present our project in front of the TU Delft alumni. The public was so enthusiastic about our project that we got even more motivated to realize it. Our team was also present at the yearly Science Day event, organised by the Applied Sciences Faculty of TU Delft. We learned a lot about how collaborations can emerge in the most unexpected way. In addition we had the opportunity to show our project to the staff of the faculty for the first time. 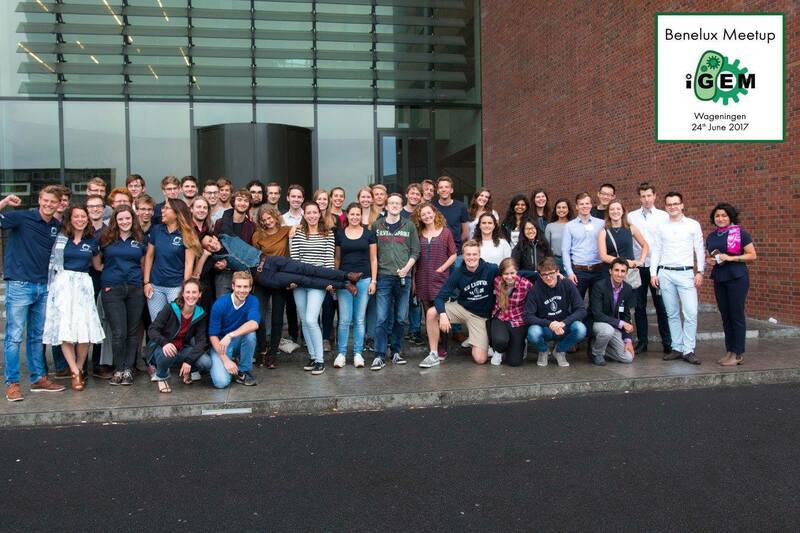 iGem Wageningen hosted a Benelux meet-up, with presentations of all attending iGEM teams and experts. It was exciting to hear what the other teams were up to and it gave us the energy to continue surpassing ourselves in our project. 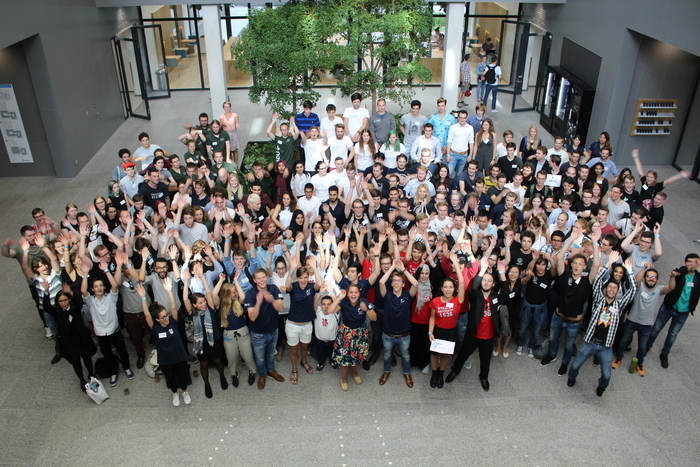 On the 7th and 8th of July, an amazing number of 33 teams and in total 211 people attended our European iGEM meet-up! Supervisors and team members from the UK, Denmark, Finland, Hungary, Switzerland, France, Germany, Austria and of course the Netherlands gathered in Delft to get to know and learn from each other. Special appreciation and thanks to the speakers: Cees Dekker, Denis Murphy, Dirk Stemerding and the iGEM ambassador: Camélia Bencherif. Furthermore, we invited all our sponsors and partners and were delighted to see them engage in the discussions. The speakers took us on a journey through synthetic biology followed by an engaging poster session that gave everyone the opportunity to see other teams’ projects. In the afternoon, we had an enjoyable barbecue with an abuzz atmosphere filled with conversations and discussions. To conclude a great day, we had a nice “borrel” in several different bars in Delft. On the second day, some attendees accompanied us for either a boat tour through Delft or the Pannenkoekenboot in Rotterdam, bringing the meet-up to a close. We were happy to welcome so many teams here in Delft and hope to see them all again in Boston this November! 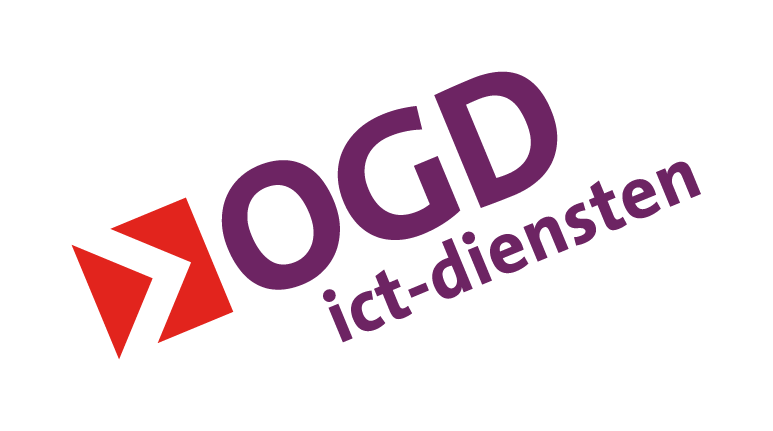 The Department of Biotechnology will sponsor iGEM TU Delft again this year! This section of the university engages in internationally-leading, groundbreaking research and education programmes in industrial and environmental biotechnology. The Department of Biotechnology covers the fields of biocatalysis, bioprocess engineering, cell systems engineering, environmental biotechnology, industrial microbiology, and biotechnology and society, combining fundamental research, engineering, and design. These fields are all directed towards biotechnological process innovations. 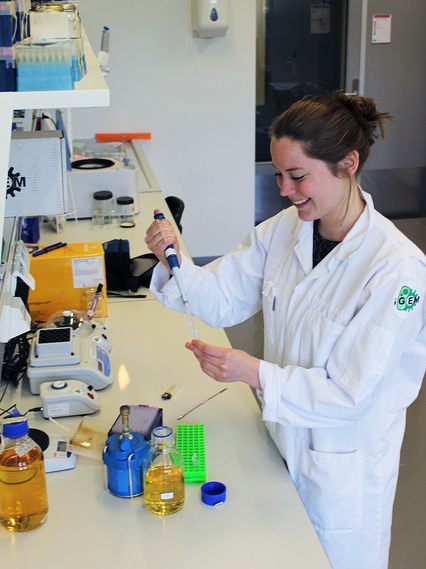 The Erasmus University Medical Center (Erasmus MC) is proud to sponsor iGEM TU Delft this year! The Erasmus MC, based in Rotterdam, Netherlands, is the largest and one of the most authoritative scientific University Medical Centers in Europe. It is committed to a healthy population and excellence in healthcare by means of research and education. 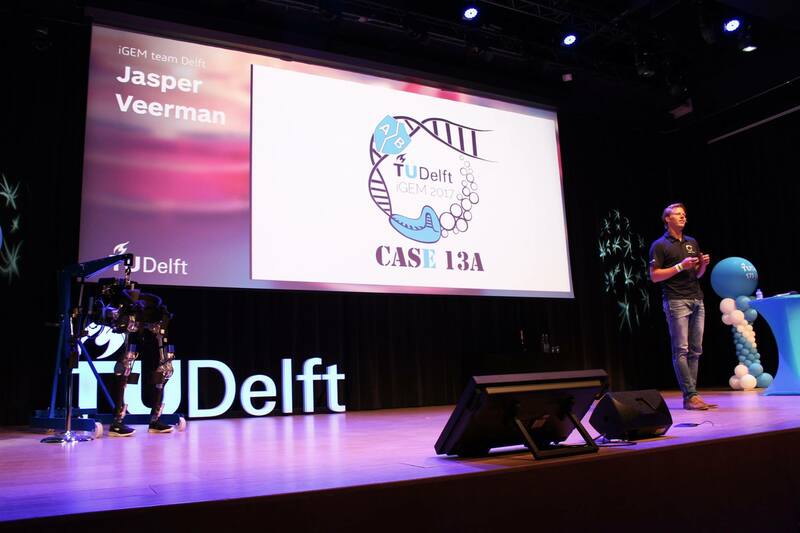 Through joint educational programmes, such as Nanobiology with TU Delft, they encourage interdisciplinary collaboration and thinking outside the box to better understand the complexity of life and solve medical problems of today for the benefit of tomorrow’s healthcare. TMerck is a leading science and technology company in healthcare, life science and performance materials. Around 50,000 employees work to develop technologies that improve and enhance life—from biopharmaceutical therapies to treat cancer or multiple sclerosis, systems for scientific research and production, to liquid crystals for smartphones and LCD televisions. The life science business‘ purpose is to solve the toughest problems in the industry by collaborating with the global scientific community. With a broad portfolio of more than 300,000 products for protein research, cell biology and chemical-based and biopharmaceuticals, the business covers the bioprocessing value chain. Hello, time flies by when you’re having fun! A month has already passed and we have been busy as bees. Without further delay, here is a short summary of what we have been up to in the month July. Hello, times flies by when you’re having fun! A month has already passed and we have been busy as bees. Without further delay, here is a short summary of what we have been up to in the month July. In the month July, we focussed on the Human Integrated Practices and started to explore the field of veterinary medicine and antibiotics. At the end of August, we will start touring around the Netherlands to visit labs, farms and agencies. More and more challenges are appearing to us considering AB-detecting during the interactive process. What is the opinion of the potential users and the experts about safety, responsibility and social relevance regarding our application? What is already out there and what is used for AB-detection and how can we contribute to current methods? For now, we would like to continue our project with Mastitis, an inflammation of the udder tissue of milk cows due to infection by specific pathogens. Also, beta-lactamase is a topic that appeals to us for further investigation. This protein family causes multiresistance to antibiotics in human and veterinary pathogens. Wish us luck! This month, the drylab team again worked passionately on simulating and modelling. Every Wednesday, they come together to discuss what they have achieved that week and to help each other with the difficulties of the project. Last month, we told you that drylab had been working on models regarding the Cas13a protein. However, this is not the only protein the drylab team is trying to characterise. The TDP proteins are also not yet well understood. Therefore, the drylab is using a lattice model to get a better understanding of the way they work. Next to modelling, the team is looking into the variety of resistance genes. Therefore, they downloaded the sequences of antibiotic resistance genes from the comprehensive antibiotic resistance database (CARD) using a web crawler. In the figure the number of genes that create a resistance for a certain antibiotic is shown. Here Amária is working RNA free. That's why she wears a mask. After a few negative sequencing results, things started to look up when the TDP module confirmed the sequence of 5 of their genes! Currently, they are taking steps in transforming the plasmid into an expression strain to be able to purify their proteins and characterise them. After TDP set the example, the vesicle module followed by confirming both of their genes. One of these is already transformed into a hyper vesiculation strain to allow for characterisation. The Cas13a module is on the edge of confirming their sequence and will start purification of our MostValuableProtein (MVP) very soon. After easy DNA isolation, the final design module has now started working on experimenting with translating the DNA into RNA without the use of expensive devices. In addition, new detection methods are being developed that will allow for a visible and straightforward read-out. With everyone gone on holiday, even a couple of our team members, those who stayed behind decided to also reward themselves. After long days in the lab, we would enjoy dinner together or go for some drinks. The highlight of the month was when we went to watch “Dunkirk” in the cinema. It was an impressive movie where you constantly felt the fear of the soldiers. Luckily we got to do this together, so we felt safe and grew closer to each other. 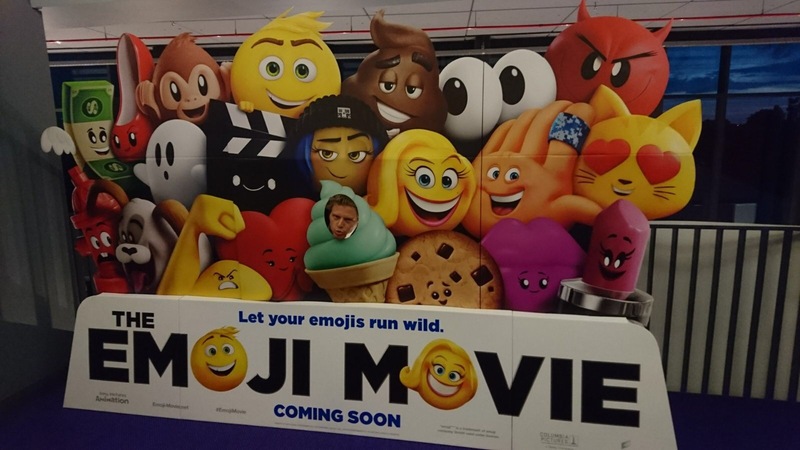 A movie not to be missed! 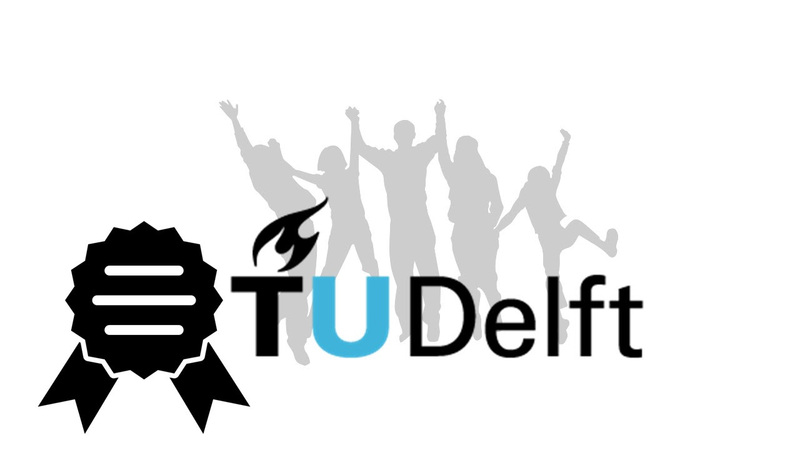 The Department of Science Education and Communication will support iGEM TU Delft this year! The department of Science Education & Communication at the Delft University of Technology seeks to develop competencies and expertise by continuously linking theory and practice in both our research and education. Both master programs provide BSc and (double degree) MSc students with deep knowledge on how people learn, collaborate and communicate. Students apply this knowledge to real-world education and communication problems in the context of technological innovations. The department’s mission is to support and professionalize teachers, communication practitioners, engineers and scientists to get ready for 21st century technology development in which science, technology and society are more intertwined than ever before. Interested: check the minor and master programs! Hello, We have got some exciting news! Not only did we make a lot of progress in the drylab and wetlab, but also in the category of sponsoring. Today we officially launch our crowdfunding! Scroll down for more detail and other exciting news. We have got some exciting news! Not only did we make a lot of progress in the drylab and wetlab, but also in the category of sponsoring. Today we officially launch our crowdfunding! Scroll down for more detail and other exciting news. Help us and get your own E. Coli cartoon on our Facebook and website! In order to develop our system, we engineer bacteria to produce Cas13a: the protein that will make the detection of antibiotic resistance possible. Cas13a needs to be extracted from the bacteria. This purification process is very expensive because of all necessary lab equipment. 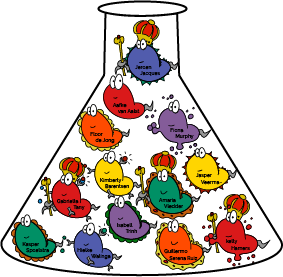 Think of enzymes, buffers and columns. We require your help to be able to do this and thus ask for a small donation to make our research possible! Last month the lab work really intensified! First of all, the Drying Proteins were successfully expressed and purified. Now this module is starting to characterise the proteins and do cool drying experiments. The vesicles module is in its final stage and will soon be merged into one of the other modules. It was shown that vesicles are formed and GFP is transported into the periplasm.On top of that, when combining both plasmids, the GFP ended up in the vesicles! Cas13a is now split up in two parts; one focusing on the purification and one focusing on the construct. Final design is moving towards detecting tetracycline resistance under various conditions. What kind of successes will our last month bring us?! This month the drylab team has made great progress. The lattice model for the TDPs is getting more and more detailed. It will not be long before we do our first simulations and determine the most suitable TDP for drying our Cas13a protein. At the same time, the team is developing a target specificity model to get a better understanding of how the Cas13a finds and binds its target RNA. Last but not least, the drylab team is also supporting the wetlab team with data analysis and experimental design. For example, designing suitable crRNAs for guiding our Cas13a protein to relevant targets. This month we have been focussing on working out our Integrated Human Practices project by interviewing a couple of stakeholders. One of the highlights of not only the IHP but also our final design was a visit to a milk farmer called Paul Oosthoek at Oosthoek en Zn VOF. He explained us the protocols they use in case of Mastitis diagnosis. Dik Mevius and Fimme Jan van der Wal, both experts in the field of antibiotic resistance concerning Mastitis, were wonderful guides who explained us more about relevant genes to detect. Also, Cecile van der Vlugt and Mark van Passel from RIVM shared their vision about safety and relevance requirements. With these helpful inputs in mind we are finalizing our IHP and the design of our device. Stay tuned for our newsletter next month, as this one will contain the full revelation of our IHP project! On the 10th of August, our lab was under general maintenance, so we decided to do some teambuilding activities! 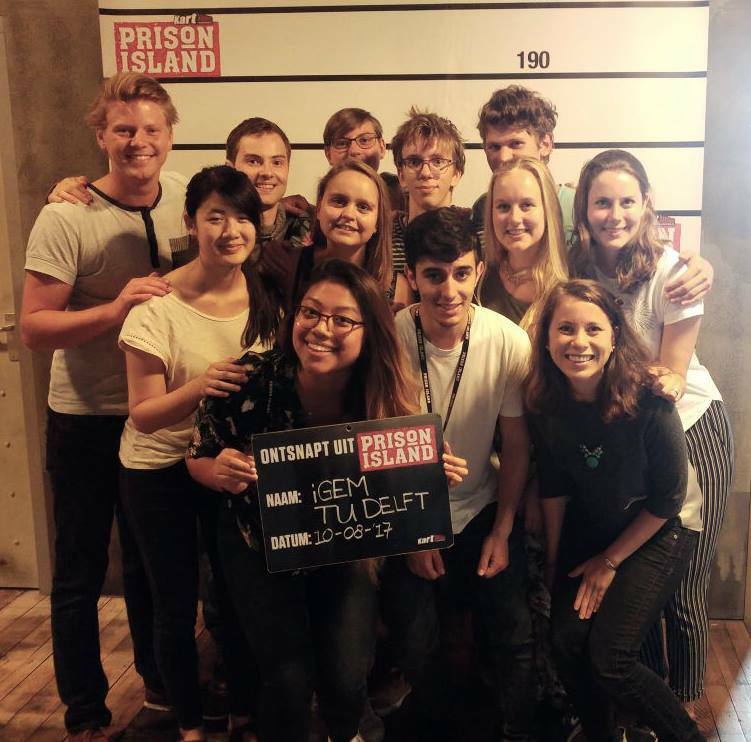 We went to Prison Island, where we had to escape prison cells by completing puzzles and games. Guess what? We escaped! Satisfied with our accomplishment, we had one more drink. Some of the adrenaline junkies also took the chance to go karting at the same location! 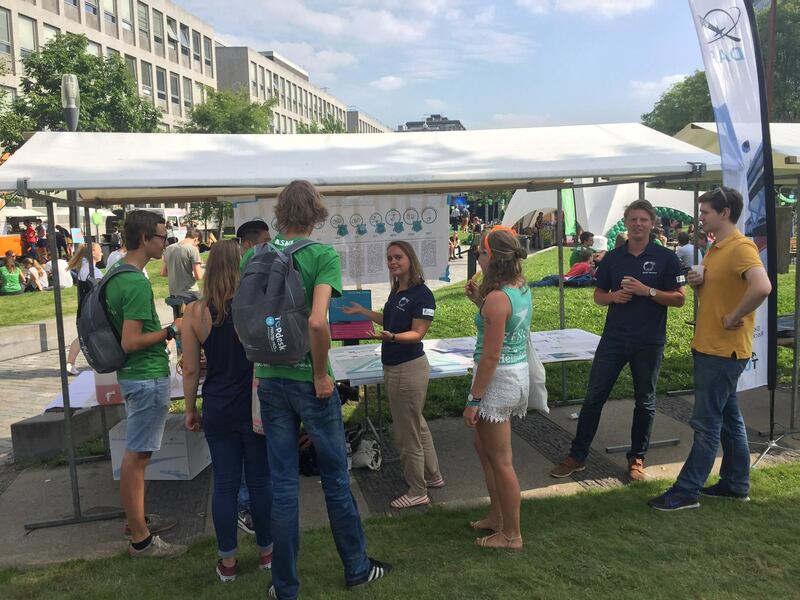 We were invited to inspire the new TU Delft students with our innovative project. 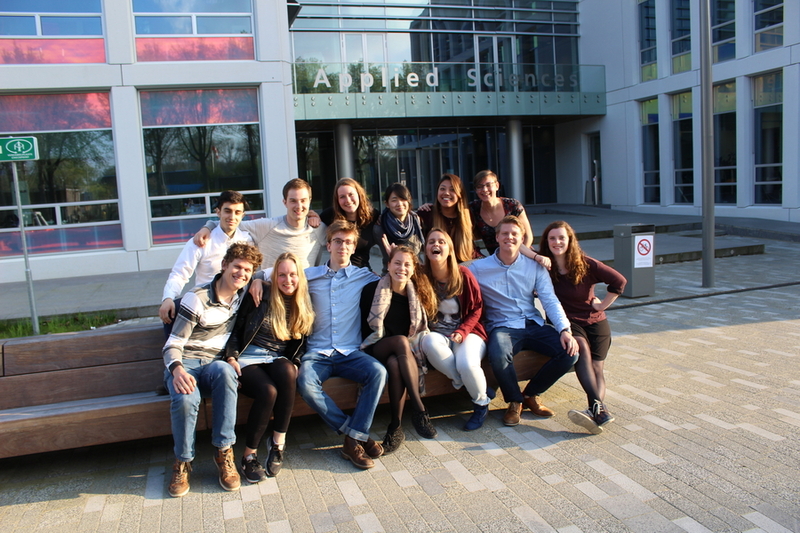 We are confident that we have met the iGEM stars of the future! 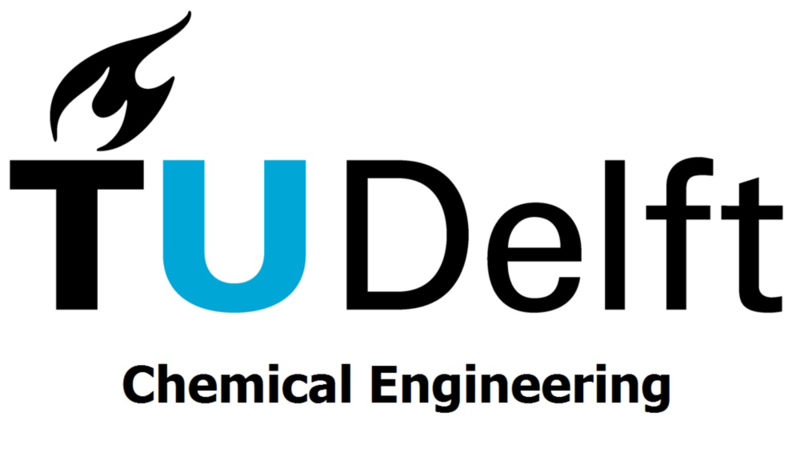 Department of Chemical Engineering is proud to support iGEM TU Delft again this year. The Department of Chemical Engineering is one of the largest departments of TU Delft, involved in cutting edge research and responsible for several BSc and MSc programmes such as the MSc in Chemical Engineering. 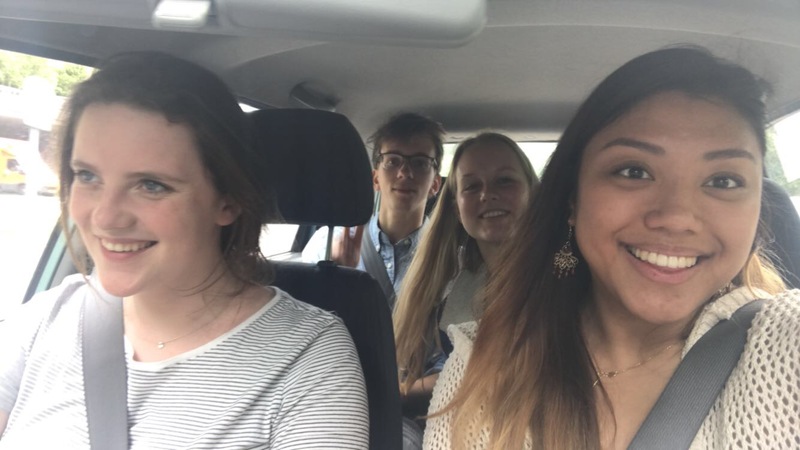 The Department of Chemical Engineering considers iGEM TU Delft a perfect opportunity to showcase the excellent quality and high standards of research executed by the TU Delft on an international level. This excellence is evident by the many good results and prizes previous iGEM TU Delft teams have acquired through the years! 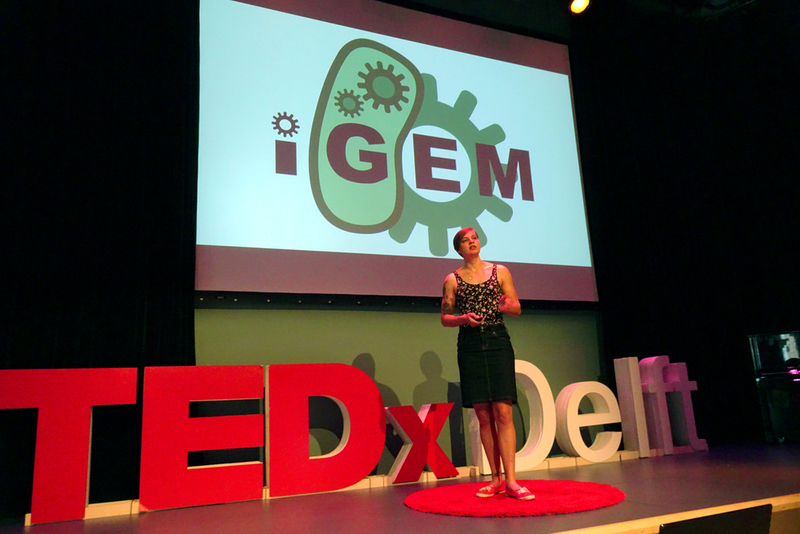 Royal DSM is proud to sponsor iGEM TU Delft again this year! Royal DSM is a global science-based company active in health, nutrition and materials. By connecting its unique competences in life sciences and materials sciences DSM is driving economic prosperity, environmental progress and social advances to create sustainable value for all stakeholders simultaneously.